The three-day bearish run on the trading floor of the Nigerian Stock Exchange (NSE) was halted on Wednesday by Nestle and 15 other stocks. The gains recorded by the 16 equities ensured that the stock market closed 0.19 percent, nudging the year-to-date return to 31.96 percent. Business Post reports that the All-Share Index (ASI) increased today by 66.82 points to close at 35,464.34 points, while the market capitalisation improved by N23 billion to settle at N12.22 trillion. But despite the improvement today, the market breadth finished negative with 21 losers and 16 gainers. Also, the volume and value of shares traded on Wednesday declined as investors only moved 119.9 million shares in 3,015 deals worth N1.8 billion as against the 373.5 million shares transacted yesterday in 4,193 deals valued at N5.8 billion. 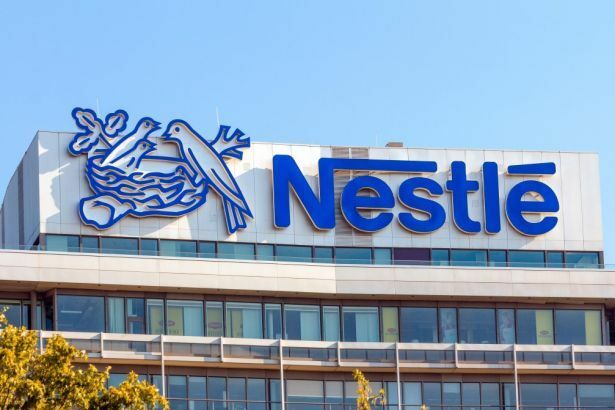 Nestle, which led the gainers’ chart today, added N39.80k to its share value to settle at N1190 per share. Yesterday, it led the losers’ table after going down by N59.80k to settle at N1150.20k per share. A further look at the gainers’ table showed that Unilever rose by N2 on Wednesday to close at N44 per share, while GlaxoSmithKline progressed by 40k to finish at N21.40k per share. GTBank increased by 36k to end at N37.88k per share, and Dangote Sugar rose by 17k to finish at N13.75k per share. But at the other end, Presco topped the losers’ log with N3.19k loss to close at N60.80k per share, and was trailed by Stanbic IBTC, which fell by N1.19k to finish at N40.1k per share. Flour Mills of Nigeria slumped by N1.5k to settle at N26.50k per share, Forte Oil lost 81k to end at N48.80k per share, and Lafarge declined by 47k to close at N50.52k per share. At the close of trading activities on the floor of the NSE on Wednesday, Access Bank emerged the most active stock, exchanging 13.9 million shares worth N134.7 million. It was followed by Zenith Bank, which traded 12.2 million shares valued at N281.2 million, and Fidelity Bank, which transacted 11.4 million shares at N14.8 million. Also, FBN Holdings exchanged 10.3 million shares valued at N59 million, while Oando sold 5.9 million shares at N38 million. Investors are upbeat that today’s positive momentum is sustained tomorrow as market activities resume.